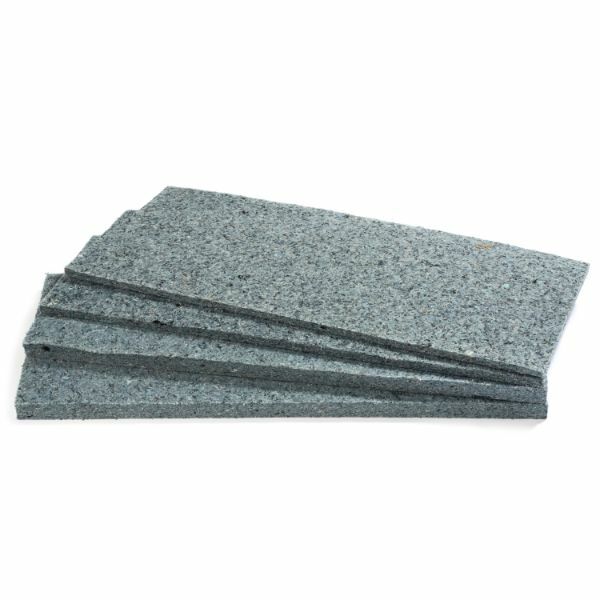 The Echoless Acoustical panels are made from non flammable bonded acoustical cotton. These panels actually absorb more echo and reverb than any other panels in our inventory. They are economical and very easy to install in any Home Theater or Studio application and come in a variety of the most popular colors. The Echoless panels are rigid enough that they can be covered with any acoustically neutral fabric such as the Guilford FR-701 fabrics to match your room décor. The Echoless panels come in 2’ X 4’ panels and are either 1” or 2” thick. The 2” thick panels boast an NRC (noise reduction coefficient) of 1.15 NRC. A higher NRC number means that you’d need less panels to reduce the echo and reverberation in the room. Echoless panels are used extensively in many wall and ceiling applications, because they offer all the sound reduction you could ask for at an affordable price. If you are building a studio or home theater, call the pros at Soundproofing America and ask about the Echoless panels, you’ll be glad you did.